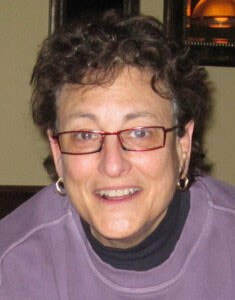 Fay, a native New Yorker, spent 30 years in Washington, DC working in journalism, public relations and theater. She is the publisher of A&M Books, a successor to the legendary Naiad Press. Her first book, As I Lay Frying – a Rehoboth Beach Memoir (2004) is in its 3rd printing. A second essay collection, Fried & True – Tales from Rehoboth Beach won the 2008 National Federation of Press Women Book of the Year for humor. Her latest, For Frying Out Loud – Rehoboth Beach Diaries won a ForeWord Reviews Humor Book of the Year, a Goldie Award, Independent Publishers Award, American Library Association Over the Rainbow award and the 2011 National Federation of Press Women Book of the Year Award. Fay teaches classes in humor writing, editing and memoir and has written for The Washington Post, Baltimore Sun, Delaware Beach Life, Delaware Today, The Advocate, Curve Magazine and more. She is also a publishing and editing consultant. She lives in Rehoboth with Bonnie, her partner of 30 years. Contact Fay at www.aandmbooks.com.